La Forza del Destino represents the ultimate in luxury with 20 feet of beam for massive interior volume.• A full-width owners stateroom with Queen-size walkaround bed and settee's to both port and starboard. A very large ensuite with walk-in shower.• La Forza features two port-side double cabins with single berth uppers and ensuite facilities that include walk-in showers.• Recents additions include: new carbon fiber spar and boom, new teak decks, cabin soles, interior soft goods and new Flaag Blue topsides! !• Great layout for both couples and families. Her crew Captain Nicholas, Chef Ana and Mate Santiago are available for the upcoming season with a special rate of $24,500.00 inclusive!! (does not include fine wines, champagne, dockage and taxes). 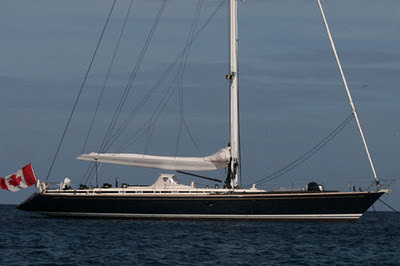 Luxury Sailing Yacht Isabel New Charter Rates.